8MP camera on the rear and a 1.9 MP Camera on the front which is capable of Face Recognition and adjusts the display brightness depending on eye position. One the software front , the S3 runs on Android 4.0 Ice Cream Sandwich as expected. The S Voice feature is Samsung’s competitor to Siri from Apple which even lets you capture photos on the camera using voice commands. In terms of memory , it will feature 16/32 and 64GB internal memory and also amicroSD card slot which supports 64GB cards so that’s a total of 128GB. It weighs 133 grams and packs a massive 2100 mAh battery. Samsung has not revealed the internals but its expected to pack a quad core EXYNOS chip. It will be available in Black and White colors. It will go on sale in May in Europe and pricing has not been revealed. London, UK—May 3, 2012—Samsung Electronics Co., Ltd, a global leader in digital media and digital convergence technologies, announced today the third generation GALAXY S, the GALAXY S III. Designed for humans and inspired by nature, the GALAXY S III is a smartphone that recognizes your voice, understands your intention, and lets you share a moment instantly and easily. This sleek and innovative smartphone has the enhanced intelligence to make everyday life easier. 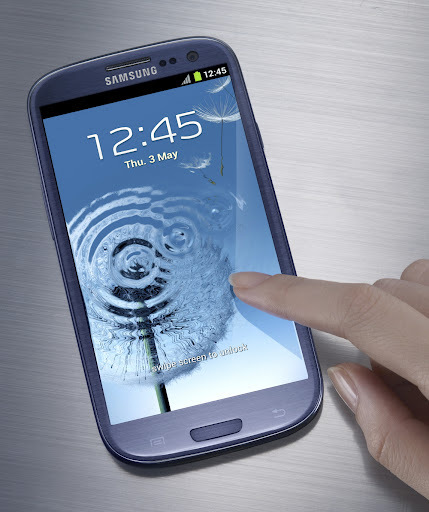 With Samsung GALAXY S III, you can view the content like never before on the device’s 4.8 inch HDSuper AMOLED display. An 8MP camera and a 1.9MP front camera offer users a variety of intelligent camera features and face recognition related options that ensure all moments are captured easily and instantly. 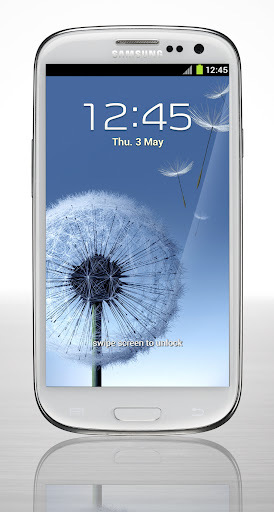 Samsung GALAXY S III is powered by Android™ 4.0, Ice Cream Sandwich, with greatly enhanced usability and practicality to make life easier. Packed with intuitive technology, the GALAXY S III delivers a uniquely personalized mobile experience that refuses to be compromised.